Reader mail (iOS): What does the Enable LTE setting do? Jacqui writes: Thanks for your post from Nadine on keeping cellular usage under control. Under Settings, Cellular, I see “Cellular Data” and “Enable LTE.” I thought both of those terms meant the same thing. Am I missing something? Hi Jacqui! Yep, these settings are a bit confusing. And I don’t blame you for thinking that toggling the “Enable LTE” setting might have the same effect as turning the “Cellular Data” setting off. In fact, though, these settings do two very different things. The Cellular Data setting (which you’ll find by tapping Settings, Cellular) will completely turn off your iPhone’s access to cellular data. This means the only way you’d be able to browse the web, check email, or otherwise connect to the Internet will be via Wi-Fi. Turning Cellular Data off might be a smart move if, say, you’re going travelling and you don’t want to risk roaming on pricey international data networks. 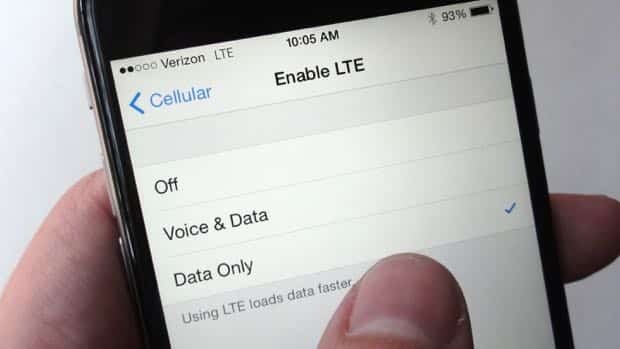 The Enable LTE setting will (among other things) let you turn off LTE data, but LTE isn’t the only kind of cellular data. The Enable LTE setting is a different beast. Yes, this setting will, among other things, let you turn off LTE data. But LTE (short for “Long Term Evolution“) isn’t the only kind of cellular data. And if you turn LTE data off (Settings, Cellular, Enable LTE, Off), your iPhone may simply downshift to 3G or even 2G networks. LTE is considered 4G—fourth generation—when it comes to cellular data, by the way. 3G and 2G data networks (denoted by “3G,” “1x” or “EDGE” at the top of your iPhone’s screen) are slower than LTE data, but they aren’t necessarily cheaper, so don’t think of them as money-saving options. A better reason for turning LTE data off might be that your LTE data connection is too spotty. Now, the Enable LTE setting has a couple other options, too. The first is “Voice & Data,” which means your iPhone will use its LTE connection for both data and regular voice calls. The advantage of the Voice & Data setting: it could (potentially) boost the quality of your voice calls. And it’ll also let you surf and talk at the same time. OK, but what if you have problems with the Voice & Data setting—such as, say, your callers not being able to hear you that well? That’s what happened to me when I gave the Voice & Data setting a try. In that case, you’ll want to revert to “Data Only”, the third option in the Enable LTE setting. Data Only may be your best bet for solid voice-call quality, but it also means you won’t be able to surf or access the Internet while you’re on a call. Unless your iPhone happens to be connected to Wi-Fi. Hope this helps, Jacqui, and let me know if you still have questions! I have the 5s, my carrier is C-Spire, which has a regional “home base area”. They also have LTE capability, in most areas, but, according to your article, you can choose to turn off LTE completely or choose Data and voice or Data only. The only choice I have for LTE is either on or off. Is that peculiar to my carrier or is it because I have the 5s iPhone? Hi Jim! You bring up a great point, and apologies for not addressing this in the original tip. First of all, yes: the “Voice & Data” setting for LTE will only appear on the iPhone 6 and 6 Plus. And yes, even if you have a new iPhone, your carrier may not support simultaneous voice and data over LTE. Reader mail (iOS): Should I turn off cellular data while using Wi-Fi?